Marinade salmon fillets in sauce for 30 minutes. 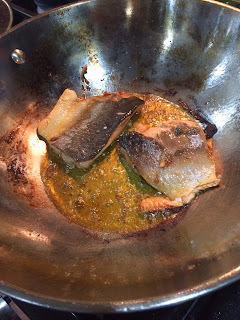 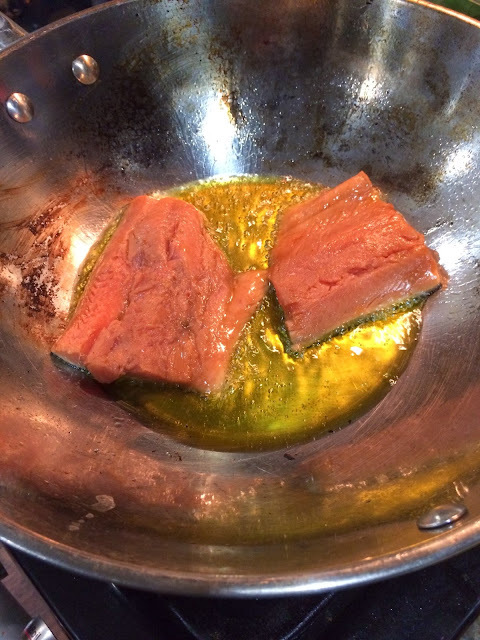 Place a small amount of oil in a wok or skillet and cook salmon fillets for 2-3 minutes on first side, and 1 minute on the second side, getting good color on both sides. Remove. 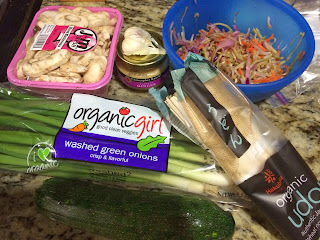 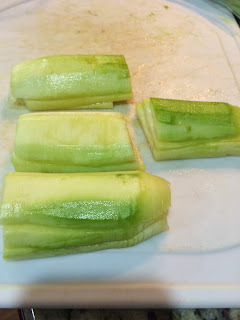 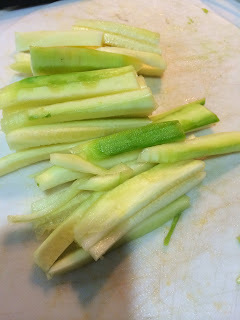 Add garlic, 2 of the chopped scallions, ginger and cook for 2 minutes. 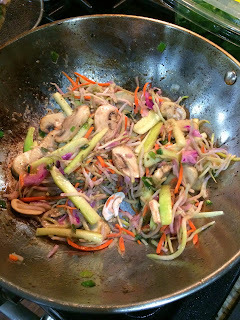 Then add your mushrooms and cook till softened, add zucchini and cook for a few more minutes, and then your broccoli slaw. 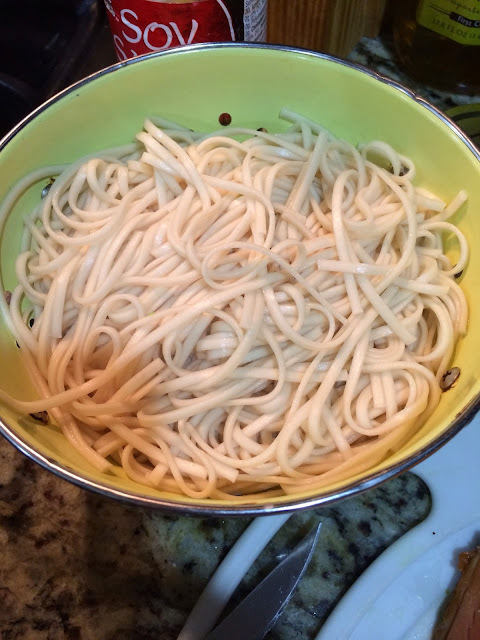 In the meantime, add your udon noodles to boiling water and cook for 4 minutes. 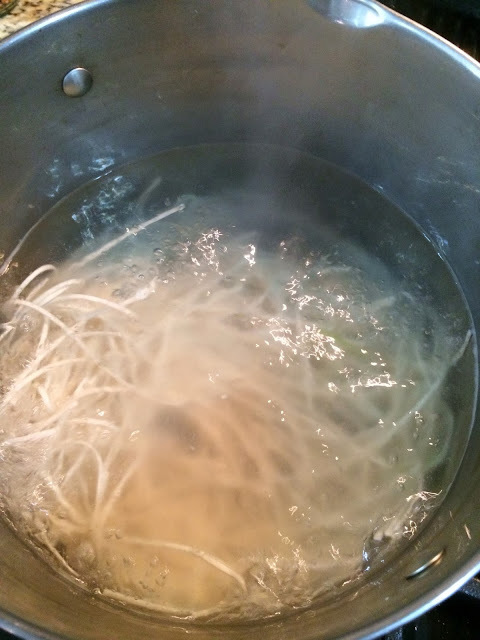 Drain and reserve. 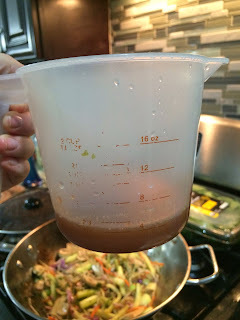 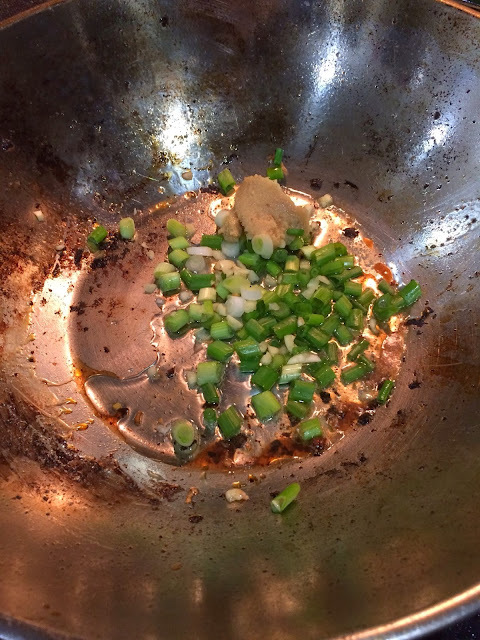 Take about half of your marinade, add some water, and add to the wok to deglaze. 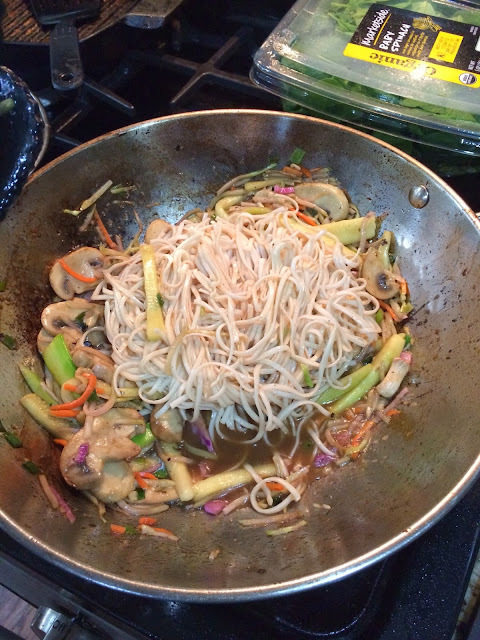 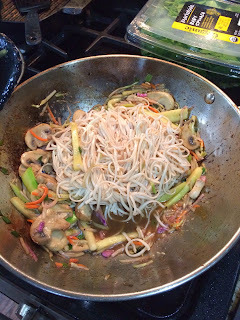 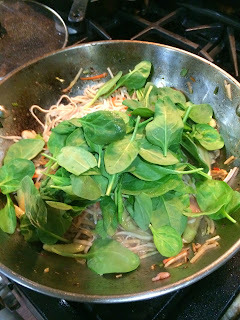 Add in your noodles and toss to coat. Turn off heat and stir in baby spinach. 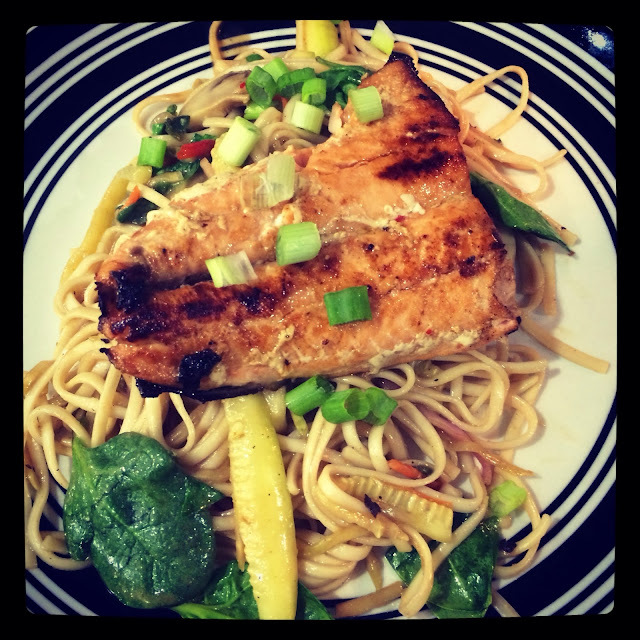 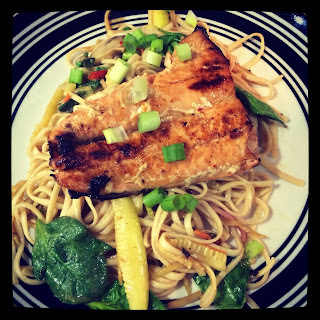 Top with salmon and enjoy!